Eastern European history is rife with nobility whose propensity for carnage, cruelty, and bloodshed are unequalled. Even some, like Countess Elizabeth Bathory, were rumored to be vampires. Her heinous crimes, when finally revealed, included torture, murder, and alleged blood drinking. , the Count whisked away his bride to northern Hungary and to Elizabeth’s new home, the isolated fortress of Castle Csejthe located deep in the Carpathian Mountains. The valleys around the castle were rich farmlands worked by superstitious peasants. What little entertainment or diversion there was could be found below in the tiny village of Csejthe. and torturing her young female servants, first using cruel methods learned from her lesbian aunt and then with various torture devices her husband had discarded in the dungeons of Castle Csejthe. She also gathered around her loyal retainers, servants, her own trusted nurse, and various practitioners of the black arts. She and her enclave became avid students of witchcraft. Elizabeth had always been a vain and self-centered child, and she treasured and protected her natural beauty. By her mid-twenties it was becoming evident that her looks were beginning to fade. Her temper turned even more unpredictable, and her acts of cruelty toward her female servants escalated. Young girls were dragged into the dungeons and mercilessly and sometimes ritualistically tortured. No one dared speak to protect any of the servant girls for fear of also being brutalized by the Countess. By 1600 Elizabeth’s husband was dead, and she became the true mistress of her isolated domain. Once she’d divested herself of her children, who were sent to relatives, and her mother-in-law, the Countess was even freer to do as she pleased. It was around this time that she supposedly acquired her taste for blood. Elizabeth was now in her early 40s and desperate to find a way to stay young. So far, none of her dark rituals had been successful in restoring her fading beauty. One day Elizabeth’s latest maid somehow angered her and in a fit of fury, the Countless struck the unfortunate girl across the face. Blood poured from the maid’s nose and spattered Elizabeth’s hand. After wiping it away, she was sure her flesh looked smoother. Not wasting a single moment, she ordered her manservant to kill the maid and drain her blood into a tub so Elizabeth could wash with it. Elizabeth soon ordered more unmarried maidens to be brought to the dungeons. For the next 10 years, her loyal accomplices did just that under the pretext of securing the peasant girls’ good jobs. They also assisted their mistress in the gruesome methods she used to extract their blood and then in the dead of night took the dead girls’ bodies away for burial. But the supply of young virgins didn’t last forever. Desperate, Elizabeth and her henchmen devised a new way to bring fresh blood to her mountain hideaway. Aristocratic families were always looking for tutors to train their daughters in etiquette and good manners. The Countess Bathory, whose lineage was long and impeccable, was the perfect choice. It didn’t take long for Elizabeth to acquire her next batch of victims. When peasant girls disappeared without a trace, no one asked too many questions and excuses were manufactured. But when aristocratic young women went missing, it didn’t take long for the families’ suspicions to soar. Elizabeth’s growing carelessness only made it easier for authorities to wonder what was really going on at Castle Csejthe. Instead of burial, she and her henchman simply began tossing the drained bodies of the young girls out for the wolves. It didn’t take long for someone to stumble over the gruesome remains. News of Elizabeth’s atrocities soon reached King Matthias II. Count Gyorgy Thurzo, a close relative of the Countess, was immediately ordered to investigate. On the night of December 30, 1610, Thurzo and his soldiers came upon a scene that made their own blood run cold: half a dozen dead or dying young women, all of them gruesomely tortured. Dozens more bodies were found in and around the castle. Elizabeth and her band of accomplices were immediately put under arrest. All except one were tried and executed, a few of them in ways that befitted the horrific magnitude of what they had done. Elizabeth herself could not go to trial, let alone be executed. Under Hungarian law it was illegal to try or condemn a citizen of noble birth. Determined to keep the Countess from walking away from the murder of over 600 young women, Parliament passed an interim law and sentenced her to be sealed alive in a tiny tower room in Castle Csejthe. Her only human contact was from the guards who passed her food through a narrow slot in the padlocked door. Four years later, one of her jailers caught a glimpse of her body lying prostrate on the floor. 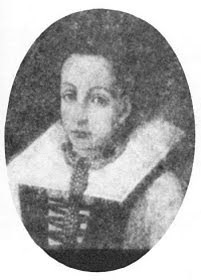 Bloody Countess Elizabeth Bathory was dead at the age of 54. Not once during her confinement did she ever speak a word of remorse for the horrible crimes she’d committed. Amongst her numerous acts and tortures, the accusation that Bathory drained the blood of her victims and bathed in it was what earned her the title of a vampire. It is also noted that she occasionally bit the flesh of the girls during their torture. 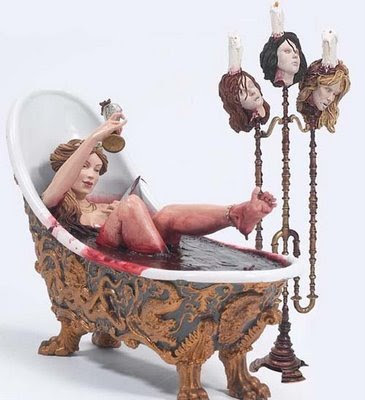 It is said that the reason Bathory bathed in blood was to retain her youthful looks and beauty, and she was, by all accounts, a most attractive woman. All records of Elizabeth were sealed for more than a century, and her name was forbidden to be spoken in Hungarian society. Unlike most females of the time, Elizabeth was well educated and her intelligence surpassed even some of the men of her time. Elizabeth was exceptional, becoming "fluent in Hungarian, Latin, and German... when most Hungarian nobles could not even spell or write... Even the ruling prince of Transylvania at the time was barely literate." Some modern scholars and contemporaries of hers postulated that she may have been insane, thus accounting for her seemingly inconceivable atrocities, but even a brief glance into her past reveals a person fully in control of her faculties. Dracula, created by the Irish author Bram Stoker, was based, albeit loosely, on the Romanian Prince, Vlad Dracula, the Impaler. Raymond T. McNally, who has written four books on the figure of Dracula in history, literature, and vampirism, in his fifth book, Dracula was a Woman, presents insights into the fact that Stoker's Count Dracula was also strongly influenced by the legends of Elizabeth Bathory of Hungary. Why, for example, make a Romanian Prince into a Hungarian Count? Why, if there are no accounts of Vlad Dracula drinking human blood, does blood drinking consume the Dracula of Stoker's novel, who, contrary to established vampire myth, seems to appear younger after doing so? 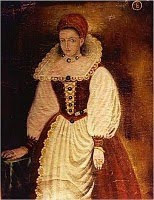 The answers, of course, lie in examining the story of Countess Elizabeth Bathory. It was largely Slovak servants whom Elizabeth killed, so the name "Csejthe" is only spoken in derision, and she is still called "The Hungarian Whore" in the area. Did you know that that you can earn money by locking selected pages of your blog or site? Simply open an account on AdWorkMedia and embed their content locking tool.